Today I have made a tag to enter into a few challenges. For this tag I used a favourite piece of paper from the Kaisercraft line called Ti's The Season. I just love the old world image of Santa and couldn't go past it for this tag. 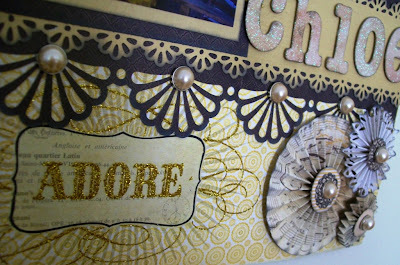 I inked the edges in Vintage Photo from Tim Holtz and used crystal stickles. I didn't want to do to much to this tag as I love the image and didn't want to cover up my Santa. I cut out the Seasons Greetings banner and popped it on the bottom. Next I covered the back of the tag, inked around the edges and put a little christmas saying popped up on pop dots. I used a green ribbon to add to the top of the tag. I am entering these challenges. Please go and have a look at all the amazing entries. Hello everyone and welcome to my blog. Today I made this card for two challenges. 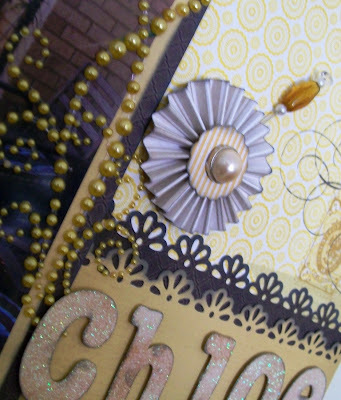 One was to use pink, white and gold and this was for COLOUR CREATE. The other challenge was to use a butterfly, fairy or angel on your creation and this one was for FLUTTERBY WEDNESDAY. I combined the two and this is what I came up with. I hope you like it. First on white card stock I layered pink card and then punched out some gold and pink paper using the Martha Stewart border punch. 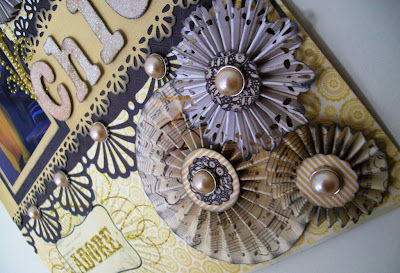 Inking around the edges, I then added a gold bow and ribbon to the top left hand corner and stamped a message on the front of the circle and popped up with pop dots. 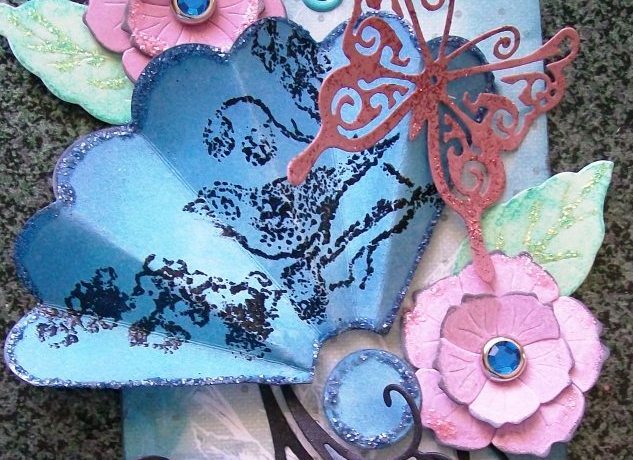 If you would like to enter these great challenges, head on over to FLUTTERBY WEDNESDAY and COLOUR CREATE and see all the fantastic works of art. They are truly inspiring. 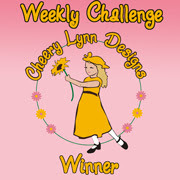 It's that time again for the CHEERY LYNN DESIGNS weekly challenge. The challenge for this week is "Red and Green". This is a favourite photo of mine. It is of me and my eldest son Alex. I think I am getting quite used to getting a project done and on time! I hope you like this layout I have put together. 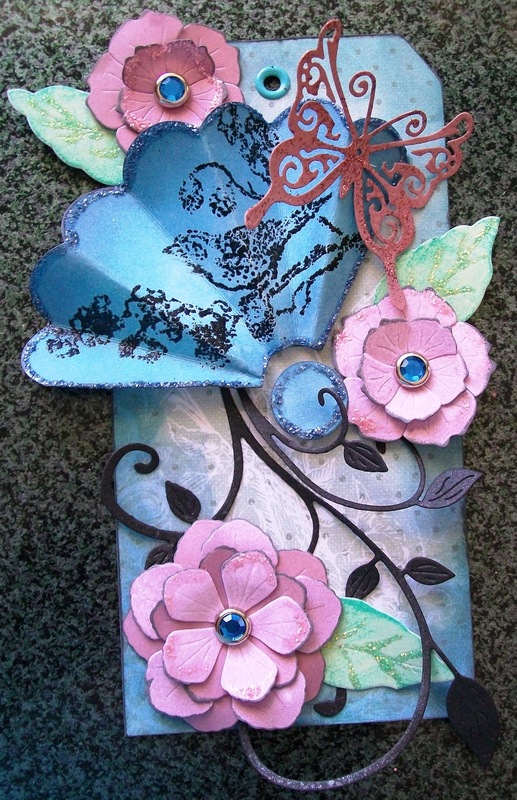 I started off using the VICTORIAN ROMANCE FLOURISH and then stacked the flowers up and over. I made the flowers by using the STACKER FLOWERS #2 with the STACKER FLOWER LEAF #1, CHERRY BLOSSOM FLOWERS and JUDY'S BLOOMS completed the rest. 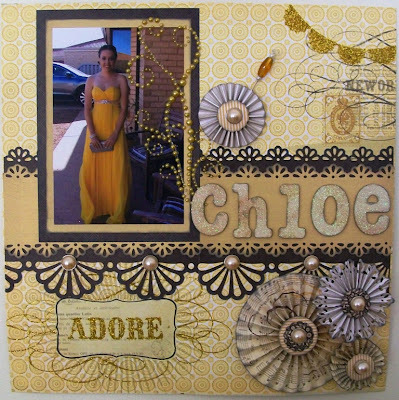 The papers I used in this creation were from Graphic 45 (one of my favourites) Playtimes Past Collection. Jack and Jill and Life's a ball were the main two papers that were used and then I used left over papers from my stash. I used the SMALL DRAGON FLY, cutting the under wings in vellum using the ANGEL WINGS that came with dragon fly die. I added to small bling for the eyes. As you can see in this photo I curled the petals up and down in various was to give them a three dimensional aspect. I did the same with the leaves and then inked all around with Tim Holts ink. 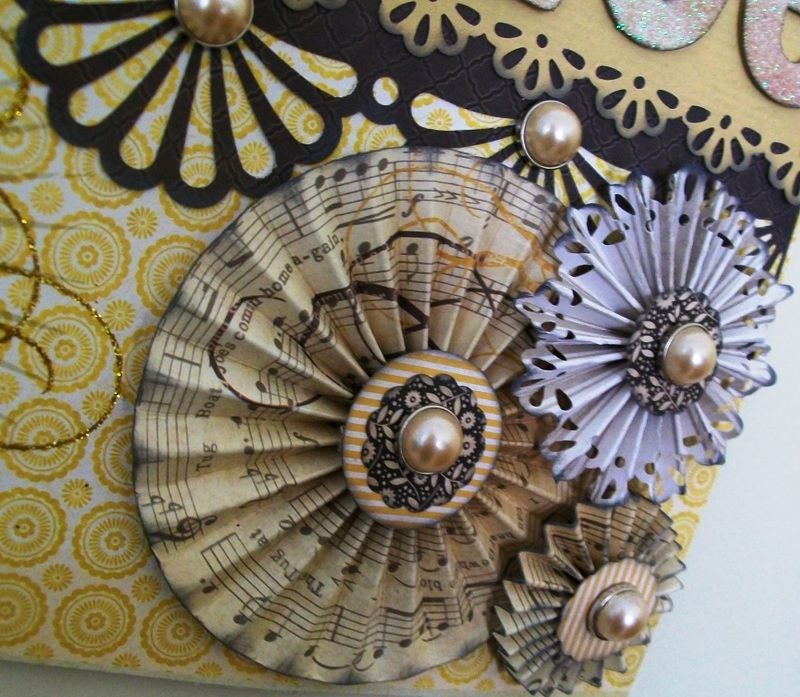 Finally I used half of the ENGLISH TEA PARTY DOILY up on the top right of this layout. If you haven't already seen these amazing dies head on over to CHEERY LYNN DESIGNS and have a look. You won't be disappointed. Today I have another project to enter into. Again it is for the Cheery Lynn designs challenge and this week the theme is "Autumn". As I live in Western Australia we are currently in Spring and getting ready for our Summer. So getting into the right frame of mind was indeed challenging enough for me! I do hope you like what I have created this week. On this gate fold card I have used the Small Dimensional Leaves and the Large Dimensional Leaves with the Olive Branches. Having adhered the leaves and branches to the card, I inked and brushed stickles onto the leaves with a paint brush to give them extra sparkle. For the inside of the card I used the English Tea Party Doily and the Scare Me dies to give the illusion of falling leaves and bare branches. 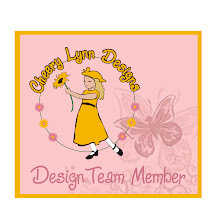 If you are interested in the weekly Cheery Lynn Designs Challenges head over to their blog for all the information. The more the merrier. In my tag I first used the Fanciful Flourish and built the tag up in layers. 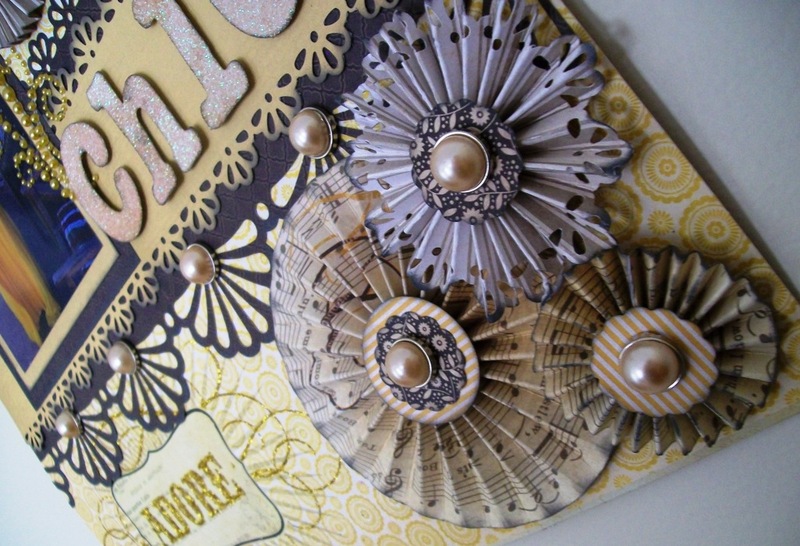 Next, using the Folding Fan, I embossed my stamped design using the Kaiser Bonjour collection stamp set. I then edged with Distress Stickles by Tim Holts and glimmer mist with Tattered Angels. For the flowers I used both the Cherry Blossom and Judy's Blooms together, slightly curling the leaves, and flower petals to give dimension, after Glimmer Misting. 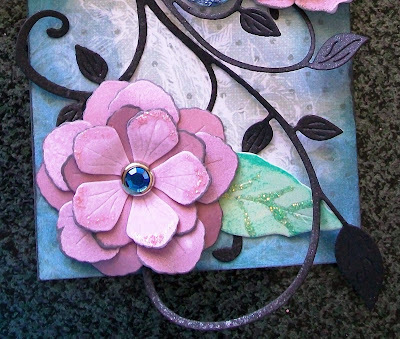 Also, I used Tim Holts Distress Stickles on outter edge of petals and leaves, adding a jewelled brad for the centre of each. 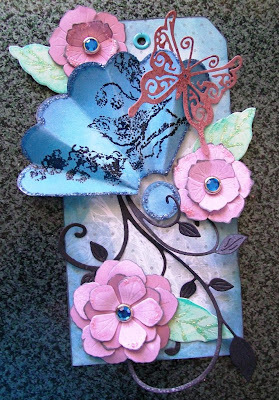 Lastly, I used the Small Exotic Butterly which I also Glimmer Misted and used Tim Holts Distress Stickles. I had fun making this project, and I hope you like it too! !